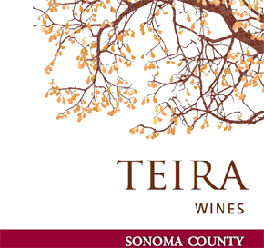 Teira Wines is a collaboration between Dan & Alexis Donahoe and winemaker William Knuttel. Named after Dan & Alexis’ daughters, Thea & Keira, TEIRA is a loose play on the term “Terrior” and “Tierra” – signifying their commitment to sustainable farming practices and resultant high quality wines. Their mission statement: “Passion, Quality, Value” is meant to communicate their dedication to producing fine wines that always impress, and are priced to drink on an everyday basis. TEIRA’s “Woods Vineyard” estate vineyard is located at 400 West Dry Creek Road in Healdsburg and comprised of 20 acres of Sauvignon Blanc, 4 acres of Zinfandel and 32 acres of Merlot. Located on rich, clay loam soil right on the Dry Creek watershed, the vineyard was planted between 1992 and 2006. Heading north from San Francisco, you will soon be surrounded by Sonoma wineries and vineyards. Sonoma County stretches from the Pacific Coast in the west to the Mayacamas Mountains in the east and is home to almost 60,000 acres of vineyards and more than 370 wineries. Viticulturally, Sonoma County is divided into three distinct sections: Sonoma Valley, Northern Sonoma and Sonoma Coast. Within each of these AVAs are sub-AVAs, all with have their own distinct mesoclimate. The grape varieties used in Sonoma County barely deviates from that used throughout California. Chardonnay takes the lead as the most planted white variety and Cabernet Sauvignon donimants the red. Sonoma County is California's largest producers of wine grapes. Russian River Valley AVA is one of California’s most prestigious wine regions.